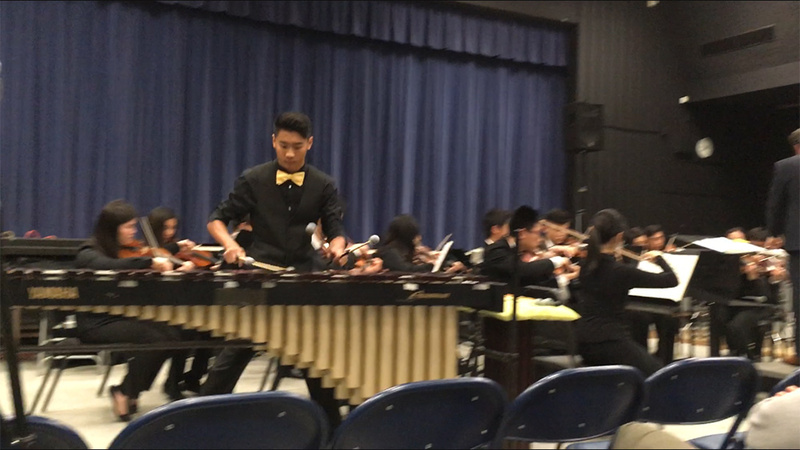 Mr. Rian Rodriguez is the music director at Leland High School, and tonight he led both the school’s big band and orchestra through thoroughly entertaining sets that featured some Michael Jackson, marimba, Mozart, and Lin-Manuel Miranda. The students had clearly worked hard to prepare for this performance, and they were also clearly having fun with the dynamic repertoire. 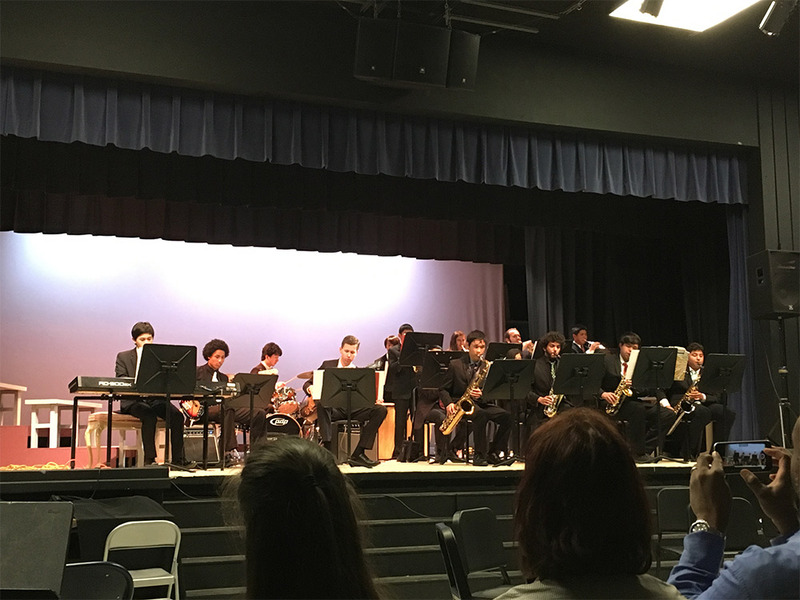 The night kicked off with the big band, which played through arrangements of Michael Jackson’s “Rock With Me,” “Human Nature,” and “Wanna Be Startin’ Somethin’.” It was a bright and groovy set that featured some funky bass lines and tight attacks from the saxophones. There were also various improvised solos from keyboard, bass, trumpet, and sax that added some individual creativity. 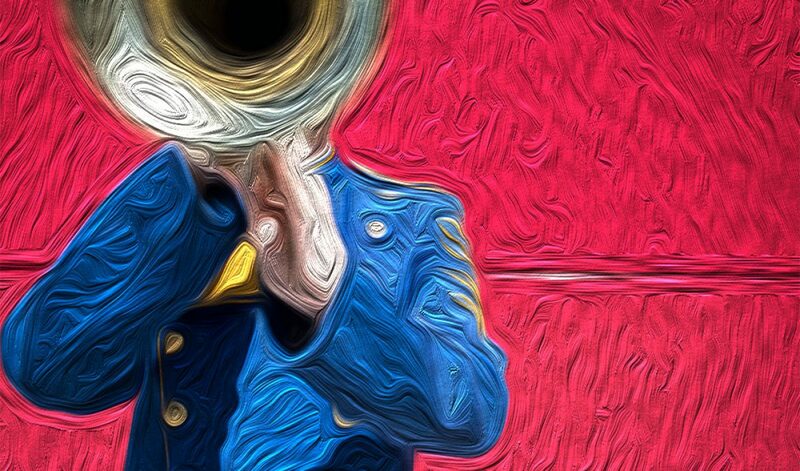 Mr. Rodriguez played his trumpet with the band, demonstrating that these students could function well without a conductor — they had to really rely on each other and the groove of the rhythm section. After changing the setup, the orchestra filed in and played Robert D. McCashin’s arrangement of Mozart’s Overture to Idomeneo, Vaclav Nelhybel’s arrangement of Bach’s Contrapunctus I, Ney Rousaro’s Concerto for Marimba, and Larry Moore’s arrangements of Imagine Dragons’ “Radioactive,” “My Shot” from the Broadway musical Hamilton, and Guns and Roses’ “Sweet Child ‘O Mine.” It was an unexpected repertoire for this ensemble, but it was lively and fun. The marimba concerto that featured Ping Hsieh was absolutely breathtaking; he clearly spent hours upon hours on this piece, and the result was an engrossing performance. In “My Shot,” cellist Andrew Cho took center stage to rap about Alexander Hamilton being “young, scrappy, and hungry,” and it was a lot of fun to watch. (He also clearly practiced this rap quite a bit.) I had never before seen the orchestra do anything remotely like this before, and it was a refreshing and exciting change; I would assume the students agreed, as the majority of them were literally bobbing their heads to every beat. Overall, this was a fantastically amusing concert that demonstrated how to incorporate pop culture without going overboard. 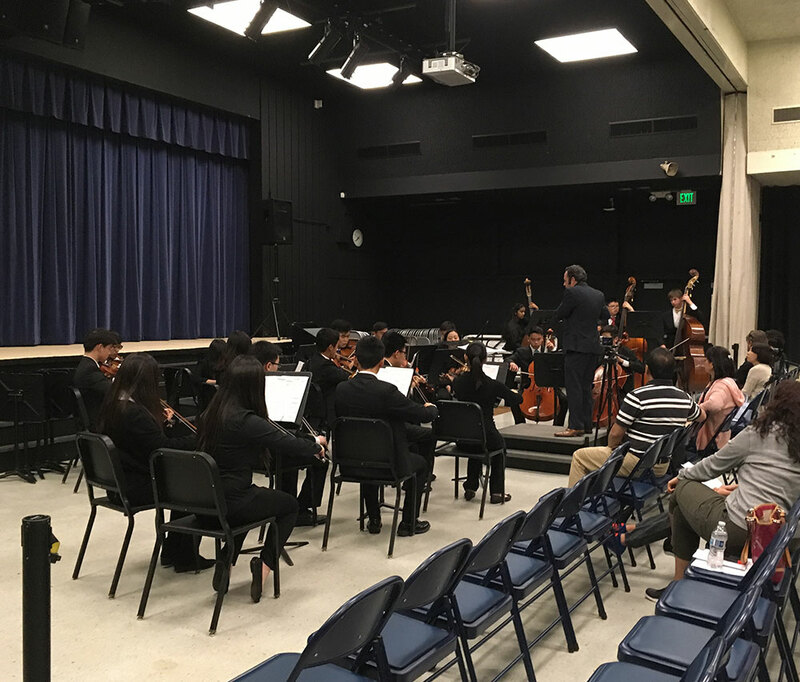 Individuals had the opportunity to demonstrate their talents, and students were also forced to pay close attention to each other and truly focus to stay together. Mr. Rodriguez and all the musicians did a wonderful job, I cannot wait to see what the next concert brings.